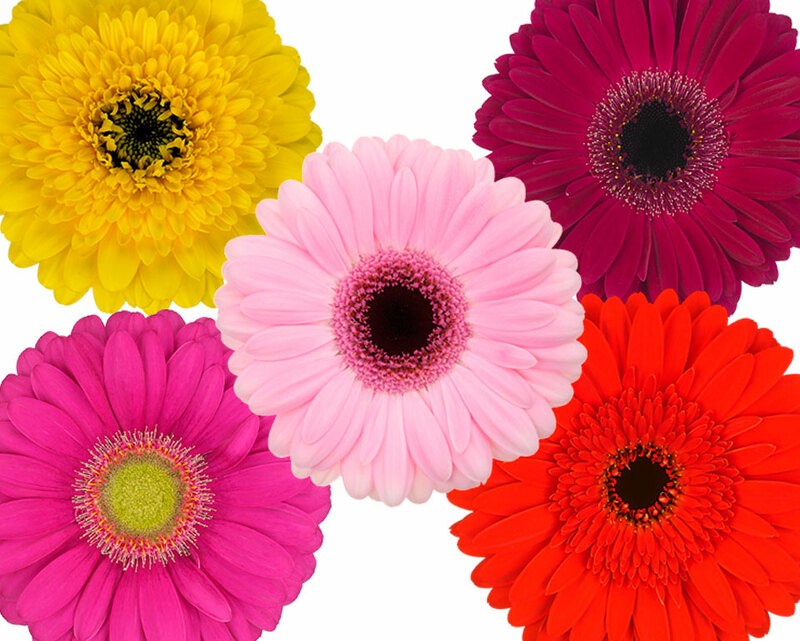 Every florist knows the gerbera, but not all of them are aware of the wide assortment the gerbera has to offer. At this event we showed this variety by dividing the 615 existing different gerberas in eight categories. Florists where surprised and noted they weren’t aware of the many varieties the gerbera comes in. The visitors also had the opportunity to get their picture taken with their favourite gerbera, in front of a colourful photo wall. By taking a picture they also had a chance to win 100 gerberas. You can see all the pictures that were made on our Facebook page. Also, we presented our assortment brochures and inspirational magazines. They were free to take so we could continue to inspire each florist, even in their home. To our team it was a very valuable evening as we were able to get directly into contact with the customer. Thanks to the conversations we had with the florists that were present at the Pyramide event, we went home with insights into the knowledge that florists have and their need for information. We can build on the information we have so we can continue to inspire florists, stylists and wholesalers with the beauty of our gerberas.